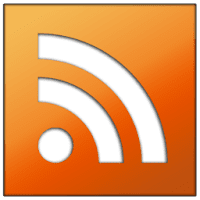 RSS Guard is simple yet powerful feed reader that is developed on top of the Qt library and supports online feed synchronization. It's able to fetch the most known feed formats, including RSS/RDF and ATOM and even able to parse feeds, which do not follow standards strictly. RSS Guard is not depending on other services - this includes online news aggregators like Feedly, The Old Reader, and others. RSS Guard works in pure Unicode encoding and it won't support other encodings. It's able to import and export feeds in OPML 1.0 and RGX formats for easy feed backup and restore. This application can run on background (hidden in notification area) and display bubble hints, when new messages appear or something important happens. Update interval can be modified via application settings. Disclaimer: Direct downloads for the lastest version of RSS Guard 3.4.1 are provided by the official software's author, we can't guarantee safety, availability or download speed. Moreover, we don't and we won't provide any pirated/illegal versions or tools. We recommend you to avoid it as these methods can harm your device. If you like the software, buy it to support the developers. (We provide software discounts for many worldwide brands).